Learn to skill-build, problem solve and thrive in the future of work. In an exponentially changing, increasingly technological and complex world, we need to equip the next generation of girls with the skillsets, mindsets and techsets they’ll need to lead, succeed and thrive in the future of work. The education system is doing what it can to keep up with this pace of change, but we need more real-world, industry-aligned learning too so that young people can navigate ever more complex careers in the shifting world economy, and build the enterprise skills they’ll need to become our country’s job creators, not just job seekers. After the huge success of the 2017 girledworld Summit at the University of Melbourne and the 2018 World of Work summit at RMIT University supported by the Australian Federal and Victorian State governments, the 2019 girledworld WOW 'World of Work' Summit will ignite NSW's University of Sydney campus for one very big, transformational weekend of future facing, goal setting and career planning for girls (Years 7 - Year 12) on Friday February 15 and Saturday February 16 2019. The Summit will bring together top speakers, industry experts and career mentors to explore the new world of work, future cities, emerging technologies and enterprise skill-building in education, and will connect Australian secondary school girls with the leaders of today and tomorrow to give them the skills, knowledge and confidence they’ll need to make informed choices about their future career pathways. This event is aligned to the Australian Curriculum General Capabilities, Design and Technologies and Digital Technologies learning areas, and recognises the importance of the development of disciplinary knowledge, real world enteprise skills (critical thinking, problem solving and Design Thinking) and general cross-curriculum capabilities in young people (See below). girledworld WOW Summit 2019 streams include World Shaping (Mindsets), Future Facing (Techsets) and Work Ready (Skillsets) and will be delivered at RMIT’s Melbourne city campus across two jam-packed days of interactive learning, problem solving, leadership cultivation, industry mentorship and entrepreneurship skill-building. All girledworld Summit participants will receive a Certificate of Critical Thinking, and Friday Design Thinking Challenge Day participants will receive a Micro-Credential in Design Thinking to add to their resumes. The Australian Curriculum is designed to help all young Australians to become successful learners, confident and creative individuals, and active and informed citizens. Presented as a developmental sequence of learning from Foundation - Year 10, the Australian Curriculum describes to teachers, parents, students and others in the wider community what is to be taught and the quality of learning expected of young people as they progress through school, and into their tertiary pathways and future careers beyond. 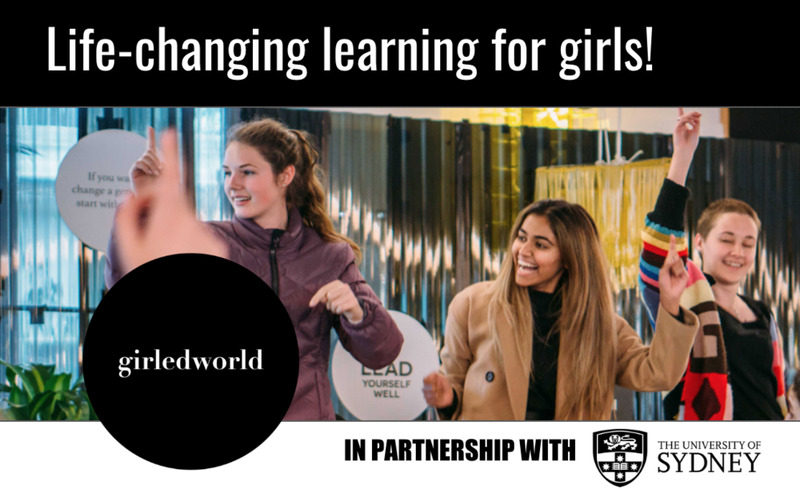 In particular, the girledworld WOW Summit 2018 will align to the Australian Curriculum: Technologies (as adopted by each state) which draws together the distinct but related subjects of Design and Technologies and Digital Technologies.